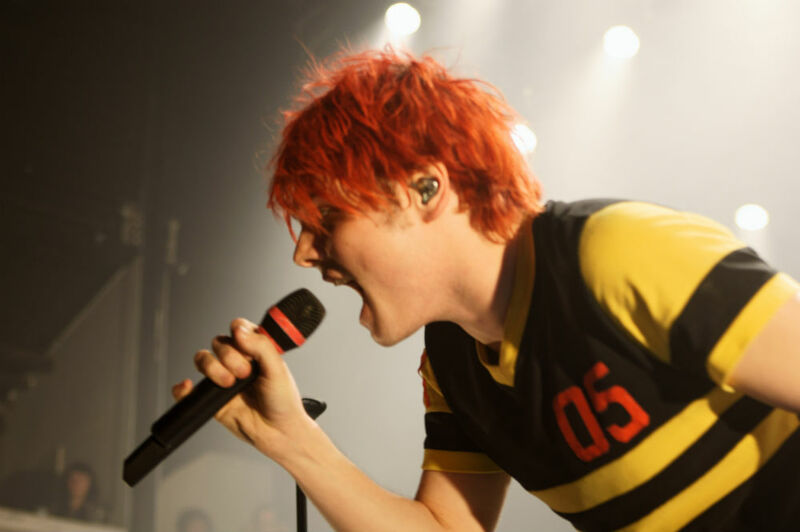 “I have a theory,” said singer Gerard Way, midway through the band’s 17-song set. 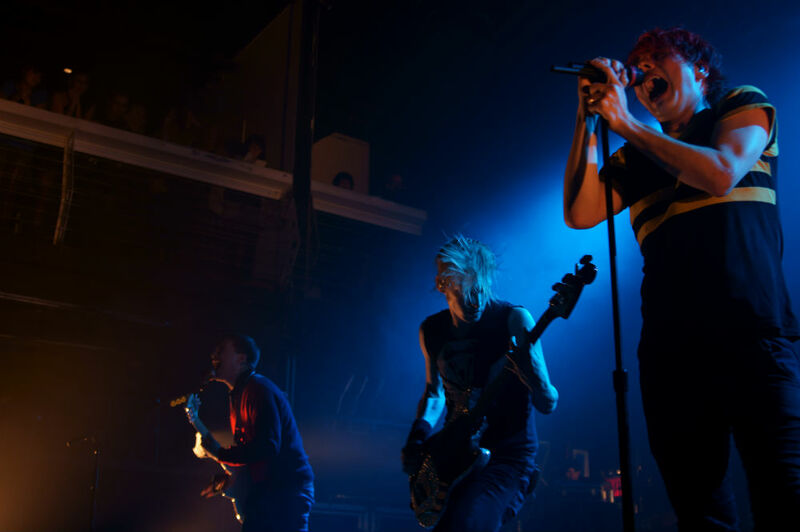 “If you play two nights in New York City, the second night is always the best.” It seemed as if the band was still on fire from the night before — or perhaps, it was a blend of the haze and sweat in the nearly oxygen-deficient packed venue. MCR flaunted their stage prowess and have reached their rawest, punk plateau on their World Contamination tour — caught somewhere between Stooges aggravated grit and pouncing Descendents lyrics.In their nearly two hour set, the band left behind a concoction of tracks old and new, starting with their latest Danger Days: The True Lives of the Fabulous Killjoys, their fifth studio album. “Are you ready to dance?” asked the chatty Way as he moved into the more stomp-y “Planetary.” Songs “Destroya,” “Party Poison” and “Summertime,” which had the audience holding up their hands in the shape of a heart (something mimicked by the night’s leader, Way), were a handful of nine Days songs mixed in throughout the night. The quartet kept the audience smiling and dancing with classics like the Liza Minelli-inspired “Mama,” their anthemic march of “Welcome to the Black Parade,” and “Our Lady of Sorrows” and “Vampires Will Never Hurt You,” off of the band’s 2002 debut I Brought You Bullets, You Brought Me Your Love; several tracks from 2004’s Three Cheers for Sweet Revenge (“Helena,” “I’m Not Okay (I Promise)” and “Hang ‘Em High”) filled the remaining slots.